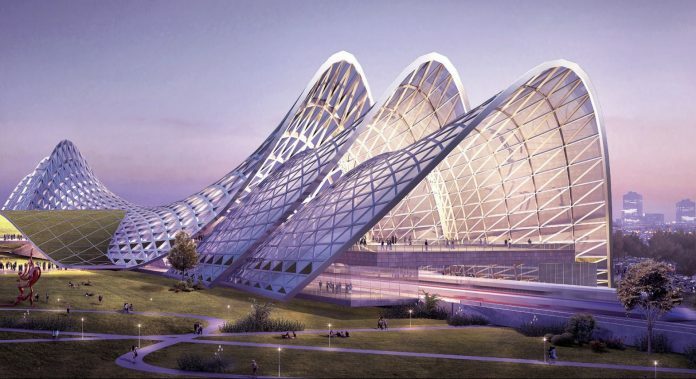 A computer generated image of the planned high-speed station at Seremban, Malaysia. Photo: MyHSR. Singapore and Malaysia have suspended construction of the Kuala Lumpur–Singapore high-speed railway until May, 31, 2020. The news comes after Malaysia’s minister of economic affairs Mohamed Azmin Ali and Singapore’s transport minister Khaw Boon Wan varied the bilateral agreement for the line. Following the announcement, developer MyHSR said it supports the decision but will be withdrawing the ongoing international joint tender for the Assets Company, which was launched earlier this year. A spokesperson said: “We are thankful for the participation from global HSR players as well as local entities in the AssetsCo tender and look forward to engaging them again once the project details are firmed up. In July, Malaysia’s prime minister Mahathir Mohamad admitted that construction of the high-speed railway with neighbour Singapore was likely to deferred and not axed as previously announced.